6" x 6" 4 mil anti-static plastic poly bags used for packaging products that need antistatic protection. 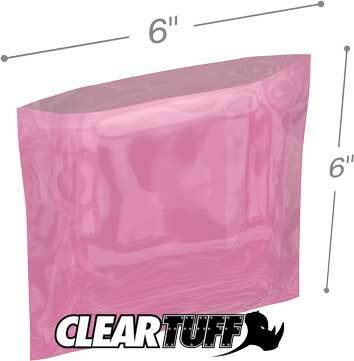 6" x 6" .004 anti-static poly bag protect against ESD damage. 6" x 6" 4 mil antistatic polybags are made from low density polyethylene and can be recycled. 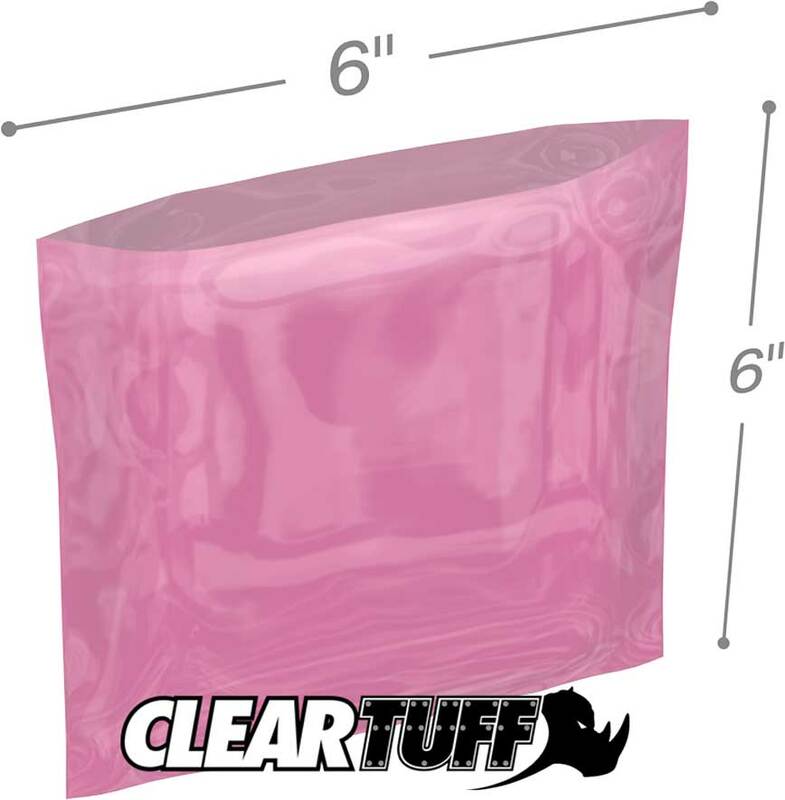 These 6" x 6" .004 pink anti static plastic bags feature impressive clarity, durability and make storage and organization simple for industrial, food service and healthcare applications. These plastic lay flat amine free 6 by 6 inch bags can be sealed by using twist ties, bag tape or by heat sealing. Get as creative as you want with your packaging. Use a roll on label or customize.